We will try our best to provide a satis fied solution and service. We also can process credit cards over the phone (this can take up to 10 minutes). After performing the requested task, we will call you again. Specification : 15.6" LED Screen Non Touch. Our services includeRepair Motherboard & Graphic Card. Replace broken display screens, case, cover, faulty keyboards, etc. Only Compatible for HP Pavilion X360 13-U series. 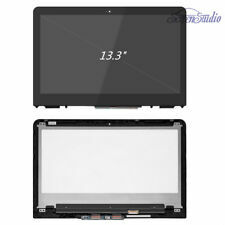 Screen Type: LCD Touch screen assembly with bezel. Display technology:LCD LED. Maximum Resolution:1366 768 HD. Screen Size: 13.3". Screen Finish: Glossy. HP Probook 450/455 G2 Screen Assembly 782122-001. Look as new. And Screen Size can not be upgraded. Backlight Type: LED Backlight. Warranty: 12 Months. HP DV6-1242-tx. HP DV6- 1329TX. HP DV6- 2016ATX. Compaq Presario CQ61-406TU. Compaq Presario CQ61-105EE. Tested and working 100% ok.
ProBook 650 G2 15.6" HD SVGA LED LCD Screen. Included: LCD as pictured. 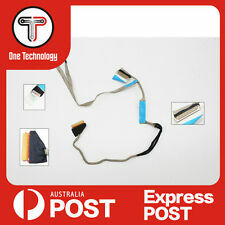 Item as images. Brand HP Screen Size 13.3 in Aspect Ratio 16:9 MPN AT-LCDASSEMBLY-HP13-AC-FHD-A Max. Resolution 1920 x 1080 Compatible Brand For HP Compatible Product Line For HP Spectre X360 13-AC013DX 13-AC023DX 1920X1080 Screen Finish Glossy/Matte Display Technology LED LCD Country/Region of Manufacture China UPC 711301611252. You cannot deviate from your current screen specifications. Purchasing a screen with different specifications will not work with your system. Also Note: You will receive a 100% compatible screen. WXGA (1366x768) HD. Brand HP Screen Size 15.6" Aspect Ratio 16:9 MPN AT-LCDASEMBLY-HPX360-15BP-FHD Max. Resolution 1920 x 1080 Compatible Brand For HP Compatible Product Line For HP Envy x360 15-bp Series Screen Finish Matte Display Technology LED LCD Country/Region of Manufacture China UPC 711301611467. Specification : 15.6" LED Screen Non Touch. Our services includeRepair Motherboard & Graphic Card. Replace broken display screens, case, cover, faulty keyboards, etc. Account No:1105 9852. Screen Resolution: 1920x1080, Full HD. Specification : 15.6" LED Screen. Screen Finish: Glossy or Matt depending on availability. Our services includeRepair Motherboard & Graphic Card. Replace broken display screens, case, cover, faulty keyboards, etc. HP X360 11M-AD013DX. 1 X HP LCD Screen Assembled with digitizer. Any issue big or small, we will ensure you are left feeling happy. LCD model: NV116WHM-N41 or original compatible models. Black iPhone 5s Lcd. Brand HP Screen Size 15.6" Aspect Ratio 16:9 MPN TS-LCDASSEMBLY-HPX360-M6-AQ Max. Resolution 1920x1080 Compatible Brand For HP Compatible Product Line For HP Envy X360 M6-AQ105DX M6-AQ103DX Screen Finish Glossy Display Technology LED LCD Country/Region of Manufacture China UPC 748440386246. Brand HP Screen Size 13.3 in Aspect Ratio 16:9 MPN AT-LCDASSEMBLY-HPX360-13-W-FHD-S Max. Resolution 1920 x 1080 Compatible Brand For HP Compatible Product Line For HP Spectre X360 13-W063NR 13-W033NG Screen Finish Glossy/Matte Display Technology LED LCD Country/Region of Manufacture China UPC 711301611337. Brand HP Screen Size 13.3 in Aspect Ratio 16:9 MPN AB-LCDASSEMBLY-HP13AC-FHD-B Max. Resolution 1920 x 1080 Compatible Brand For HP Compatible Product Line For HP Spectre X360 13-AC013DX Screen Finish Glossy/Matte Display Technology LED LCD Country/Region of Manufacture China UPC 711301611283. Brand HP Screen Size 13.3“” Aspect Ratio 16:9 MPN AT-LCDASSEMBLY-13-S-FHD Max. Resolution 1920 X 1080 Compatible Brand For HP Compatible Product Line For HP Pavilion x360 13S Serise Custom Bundle No Screen Finish Glossy/Matte Display Technology LED LCD Modified Item No Non-Domestic Product No Country/Region of Manufacture China UPC 711301611481. Brand HP Aspect Ratio 16:9 MPN AT-LCDASSEMBLY-HPX360-15-AP-UHD Compatible Brand For HP Max. Resolution 3840x2160 Compatible Product Line For HP Spectre X360 15-AP 3840x2160 Screen Size 15.6" Custom Bundle No Display Technology LED LCD Screen Finish Glossy/Matte Modified Item No Non-Domestic Product No UPC 713524939571. Brand HP Screen Size 13.3 in Aspect Ratio 16:9 MPN AB-LCDASSEMBLY-HP-13-W-FHD-S Max. Resolution 1920X1080 Compatible Brand For HP Compatible Product Line For HP Spectre X360 13-W Series 1920x1080 Screen Finish Glossy/Matte Display Technology LED LCD Country/Region of Manufacture China UPC 711301611320. Brand HP Screen Size 13.3" Aspect Ratio 16:9 MPN AT-LCDASEMBLY-1030-G2 Max. Resolution 1920 x 1080 Compatible Brand For HP Compatible Product Line For HP Elitebook X360 1030 G2 Custom Bundle No Screen Finish Glossy/Matte Display Technology LED LCD Modified Item No Non-Domestic Product No Country/Region of Manufacture China UPC 713524594510. Brand HP Screen Size 15.6 in Aspect Ratio 16:9 MPN TS-LCDASSEMBLY-HPX360-15M-BP-1920X1080-B Max. Resolution 1920x1080 Compatible Brand For HP Compatible Product Line For HP Envy X360 15M-BP Screen Finish Glossy/Matte Display Technology LED LCD Country/Region of Manufacture China UPC 748440386567. 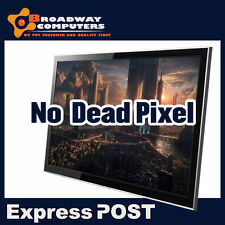 No Dead or Bright Pixels. This item has been fully tested and carefully removed from a pre-owned notebook by one of our qualified technicians. IMPORTANT NOTICE. Brand HP Aspect Ratio 16:9 MPN AT-COMPLETEDISPALY-HP-X360-13-Y-QHD Compatible Brand For HP Max. Resolution 3200x1800 Compatible Product Line For HP Envy x360 13-y Series Screen Size 13.3" Custom Bundle No Display Technology LED LCD Screen Finish Glossy/Matte Modified Item No Non-Domestic Product No UPC 702971296733. Brand HP Screen Size 13.3 in Aspect Ratio 16:9 MPN AB-LCDASSEMBLY-X360-13-4000-S Max. Resolution 1920 x 1080 Compatible Brand For HP Compatible Product Line For HP Spectre x360 13-4000 Series Screen Finish Glossy/Matte Display Technology LED LCD Country/Region of Manufacture China UPC 711301611375. Brand HP Screen Size 15.6 Aspect Ratio 16:9 MPN TS-LCDASSEMBLY-HPX360-M6AR Max. 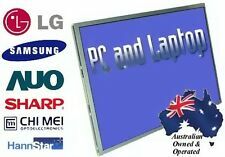 Resolution 1920x1080 Compatible Brand For HP Compatible Product Line For HP M6-AR Screen Finish Glossy Display Technology LED LCD Country/Region of Manufacture China UPC 748440386260 Warranty 90 Days. Brand HP Screen Size 13.3 in Aspect Ratio 16:9 MPN AT-LCDASSEMBLY-13-AC-FHD-B Max. Resolution 1920 x 1080 Compatible Brand For HP Compatible Product Line For HP Spectre X360 13-AC023DX Screen Finish Glossy/Matte Display Technology LED LCD Country/Region of Manufacture China UPC 711301611276. 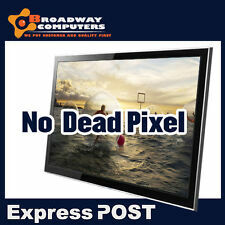 Brand HP Screen Size 15.6 in Aspect Ratio 16:9 MPN TS-LCDASSEMBLY-X360-15M-BP-1920x1080-B Max. 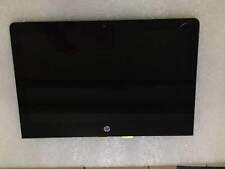 Resolution 1920x1080 Compatible Brand For HP Compatible Product Line For HP Envy X360 15M-BP011DX Screen Finish Glossy/Matte Display Technology LED LCD Country/Region of Manufacture CHina UPC 748440386574.